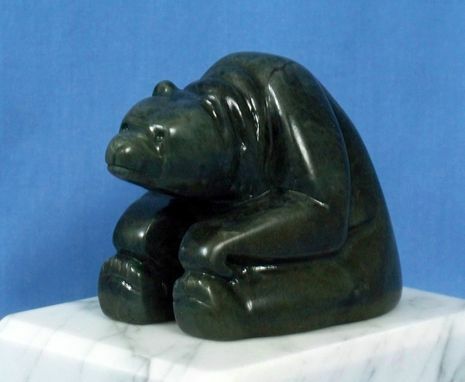 This jade sculpture was a commissioned piece. My custommer found the jade specimen on one of his "rock-hounding", expeditions, and mailed it to me, requesting that I carve a bear. In order to fully utilize the dimensions of the stone, I decided to make him sitting. He is shown on a marble base, but, was not permanently attached.